Is Gamification the Key to Better Video Engagement? In June of this year, Facebook announced that it would add new features to its platform to make video more interactive. At the time, many believed that this move was an attempt by Facebook to emulate the success of HQ Trivia: a live, game-show-esque, social trivia app, which had peaked as the number one trivia game in the Apple app store early in 2018. A differentiating factor of HQ Trivia was the ability of users to not just play to win cash, but interact with each other as the game took place. 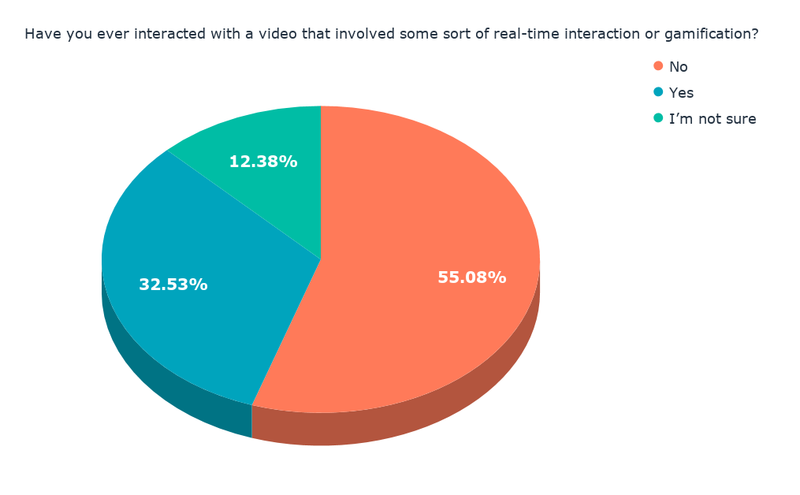 But are gamification and interactive elements really the key to making video more engaging? To find out, we had a look at what others are doing to permeate this visual content market, and surveyed over 4,000 on their video format preferences. 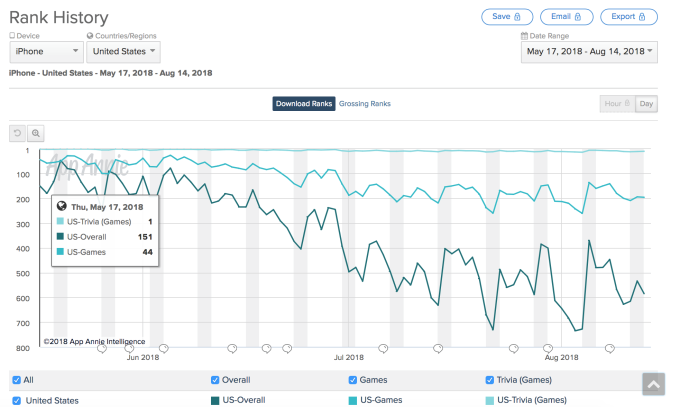 While HQ Trivia once found itself dominating the trivia app market, by August, it had fallen to position 196 in the app store. 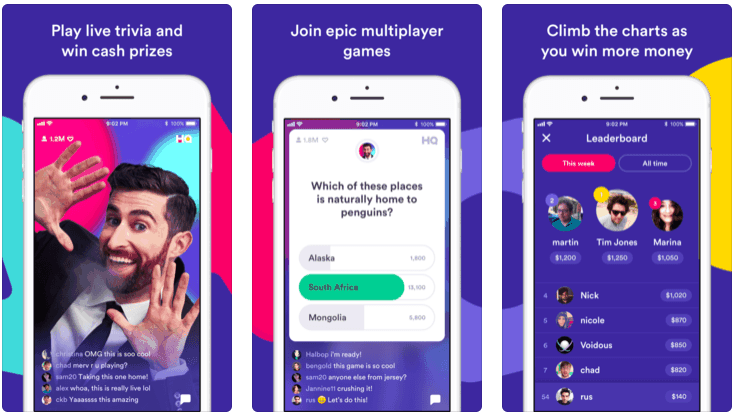 But despite what Recode calls HQ Trivia’s “shrinking audience,” it seems that others are still attempting to emulate its success, and vendors are working to build more tools to help creators produce similarly interactive video content. On the creator side, there’s Socialive, for example: a live video creation and distribution platform. As the name suggests, its purpose is to add more of a social element to live videos with such tools as real-time comments and polls. 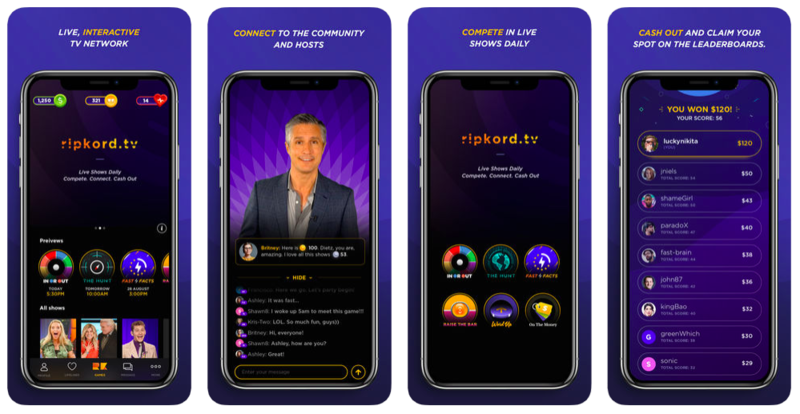 Then, on the consumer or viewer side, there’s the case of Ripkord.tv: a new type of entertainment network that produces video content with combined elements from predecessors HQ Trivia and Facebook Watch, such as mobile gaming and social interaction. But there’s a key element of programming that exists on the likes of Facebook Watch and Ripkord.tv that differentiates them from HQ Trivia: Both add these gamified, interactive elements to longer-form video content that’s more likened to traditional television programming. 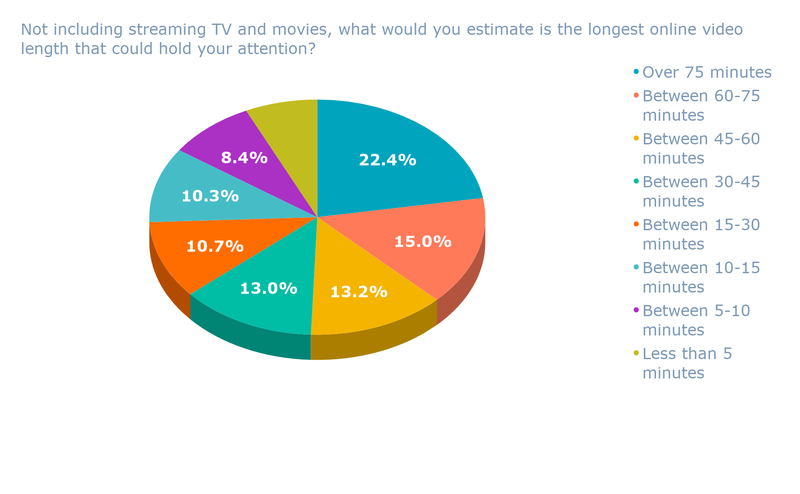 Earlier this month, we ran a survey to determine if users prefer short-form video content to those that are on the longer side, up to 75 minutes. What we found surprised us. Not only do most people consume video on mobile devices (a good sign for apps like Ripkord.tv), we found, but they also aren’t particularly enamored with short videos. Most respondents, it turned out, indicated that a video length of 75 minutes or more was most likely to hold their attention. I asked one of Ripkord.tv’s founders, Todd Peterson: Why is it that long-form, online video consumption seems to be gaining in popularity? Our previous findings indicated that, yes — there does seem to be a preference among consumers for long-form video content that can be viewed on a mobile platform. 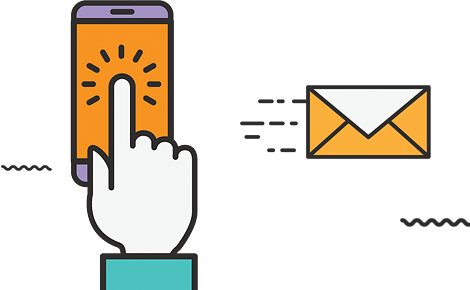 But when we asked more detailed questions about how users had engaged with some of the early actors in interactive and gamified video — it seems that awareness might be a challenge that all players in this market, established and new, will need to tackle. 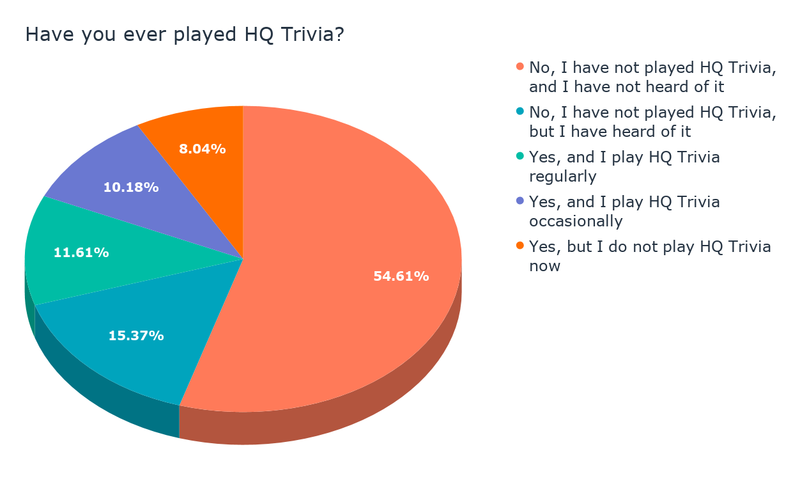 First, it seems that our survey sample was largely unaware of (or at least unable to attach a name to) HQ Trivia and Facebook Watch: two of the earliest actors in the realm of gamified and interactive video content. 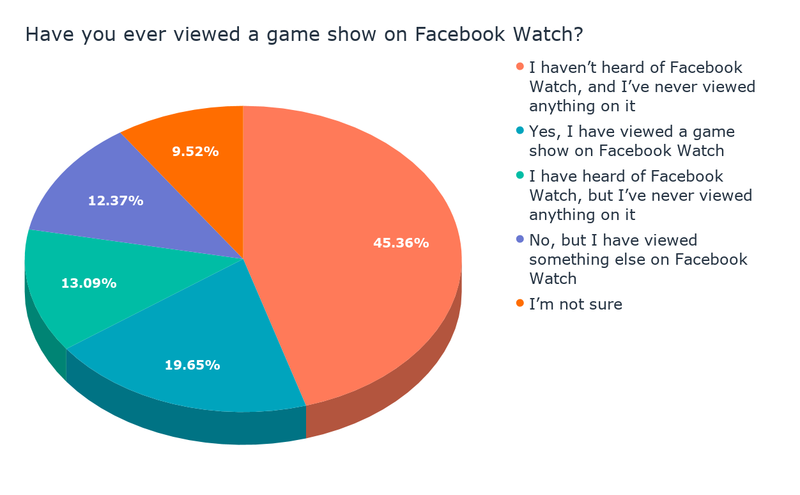 Over half of respondents said they had never heard of HQ Trivia, for example, and 45% indicated they were unfamiliar with Facebook Watch. We also wanted to measure how interested consumers are in watching this type of video content — and if they find it more engaging than traditional video content. First, we found that users do indicate that video with game-like or interactive elements might be of interest, with 28% saying this type of content would engage them more traditional video would. However, when presented with both options — traditional video, or gamified/interactive video — most respondents said they’re more interested in viewing the former. That again points to a possible lack of awareness among some users as to what, exactly, gamified or interactive video content looks like — perhaps because they have yet to engage with it at all. Again, that points to the success of video content developed for the likes of something like Ripkord.tv, where traditional programming is essentially enhanced by these interactive elements. So perhaps that’s where the success lies: This seeming hybrid of traditional television content with some sort of interactive feature, especially one with a competitive edge. And with interaction, there comes a community-building aspect.